The “Genocide” Conference was addressed by human rights activists and 1984 Sikh Genocide survivor Bibi Jagdish Kaur, who is prime witness against Congress leader Sajjan Kumar. 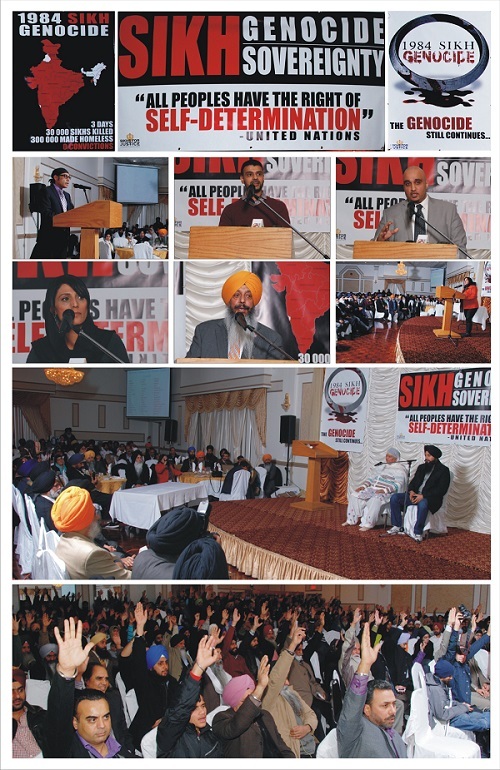 The Conference was organized by Sikhs For Justice (SFJ), a human rights advocacy group with the support of Canadian Sikh organizations. 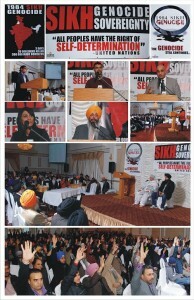 SFJ which is spearheading the justice campaign for the victims of 1984, will lobby to introduce a motion in the Canadian Parliament to debate whether organized killing of Sikhs in India during November 1984 was “Genocide” as defined in Article 2 of the UN Convention on Genocide, stated SFJ legal advisor Gurpatwant Singh Pannun. 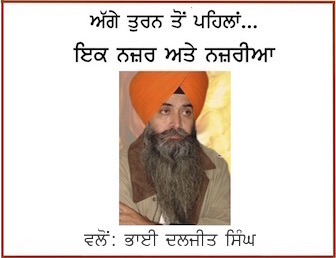 According Sukhminder Singh Hansra, On December 10, Bibi Jagdish Kaur, who is visiting Canada on the invitation of Ontario Khalsa Darbar, Dixie will present evidence to the Canadian MP’s about 29 years of denial of justice to victims and impunity to Congress leaders who orchestrated genocidal attacks on Sikhs after the death of Indira Gandhi. SFJ, “Movement Against Atrocities and Repression (MAAR), All India Sikh Students Federation (AISSF) and members of Gurudwara management committees across Europe and North America filed a Complaint with UNHRC urging to “fully investigate the intentional attempt to exterminate the Sikh community of India during November 1984 and to declare it as Genocide.” According to Harjeet Singh Sahota, Legal Advisor, SFJ will present evidence to the UNHRC during August 2014 when the committee is going to discuss the complaint filed against Indian government for failure to prosecute those who were involved in the Genocide of Sikhs. The right to sovereignty and self-determination for all religious, racial, ethnic and linguistic minorities is guaranteed in the UN Charter and under “International Covenant on Civil and Political Rights” and “International Covenant on Economic, Social and Cultural Rights” stated Jatinder Singh Grewal, International Policy Director, SFJ. 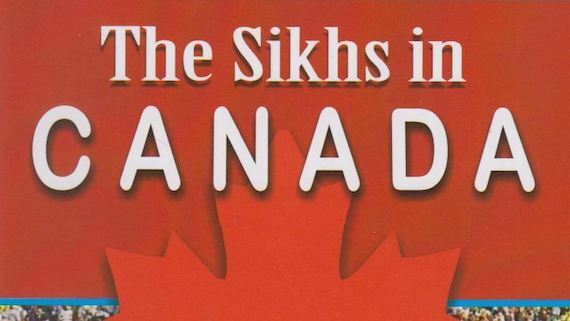 Citing the 1980 and 1995 examples of Canadian referendums to determine the demand for separation and sovereignty from Canada by the Province Quebec, Grewal added that “India should follow the example of Canada and should extend the same to Sikhs”. “It’s fundamental right of every religious, racial, ethnic and linguistic community to demand “self determination”. Sikhs for Justice (SFJ) a human rights organization, believes and adheres to Universal Declaration of Human Rights. SFJ endeavors to create an environment in which minorities – regardless of race, religion, language, gender, or ethnicity – can freely exercise their right to “self determination” as enshrined in the Universal Declaration of Human Rights and United Nations Covenant on Civil and Political Rights. SFJ is also striving to collect and disseminate information, statistics, figures and data regarding the Genocide of Sikhs (1984-1998).